I'm on my phone during a rain break. This summer I managed to make it to the holy grail of cricket in Australia: Day 1 of the Boxing Day Test at the MCG in Melbourne. Along with my good friend Chris Neugebauer, I sat through a morning of threatening weather and Australian wickets being taken. Not pleasant. In the afternoon (after lunch and a sizeable rain delay) the English continued to pummel the Australian team, this time with the bat. Without a doubt the highlights of the day all involved the 84 000+ strong crowd in attendance that day. 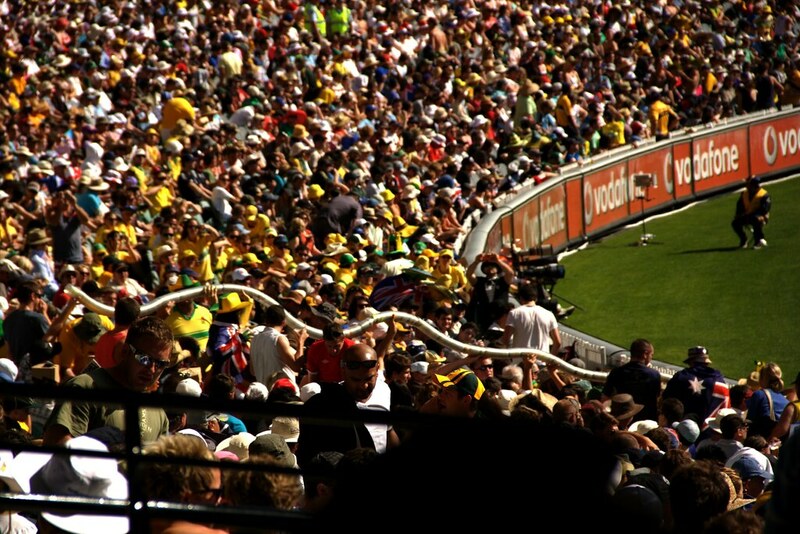 Cricket matches (and sporting events of all manner in Australia, really) are just an excuse to get drunk, and the crowd in Melbourne that day did not disappoint. Although I didn’t drink, others did, and the resulting beer cup snakes were very impressive. One was sighted at 6 rows long, which some maths tells me must be at least 1200 cups, which represents around 500 litres of mid-strength beer. Which is a lot for the couple of hundred people who contributed to that particular snake. 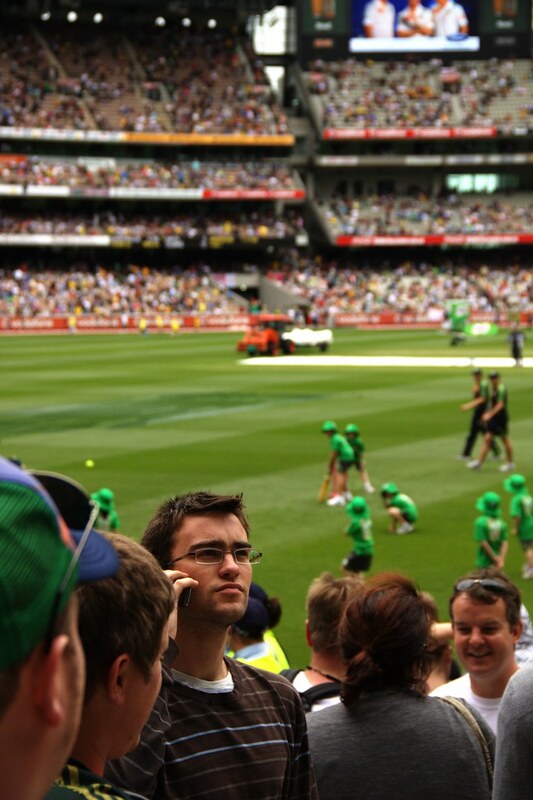 Being at the MCG is an awe-inspiring thing. When you first enter the ground and are completely surrounded by the stands, which tower over you, I doubt it’s possible to say anything other than “wow”. Being an avid enthusiast of public transport (read: train freak), I had a great day in Melbourne, which has a very impressive system, with trams, trains, and buses galore. Although I only caught a couple of buses, it’s great to see that a city can actually get public transport right! All up, a fantastic day. Even if it did mean getting up at six o’clock in the morning.